Plant gathering and preservation for identification has its foundations in history and early botanical plant hunting. Plants in modern gardens have their origins from all over the world, as botanists journeyed to distant lands. 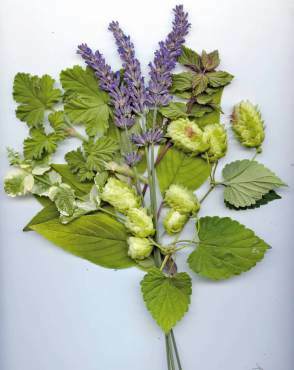 As the West was discovered, Lewis and Clark collected and noted plants along their journeys. New specimens were collected and preserved for correct identification. 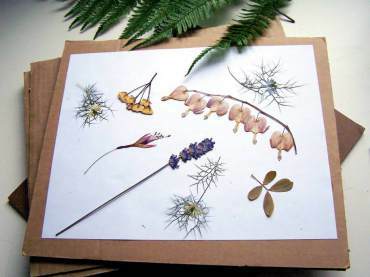 The plant was removed from the ground and all identifiable elements, such as leaves and seed capsules, were pressed flat between paper or bark parchments to make them easy to carry and prevent the plant material from being damaged. Papers with plants laid flat were placed between planks of wood and bound with rope or leather straps much like the tightening of a belt. The pressing process prevented leaves from curling and preserved the shapes of stems and flowers for proper identification. 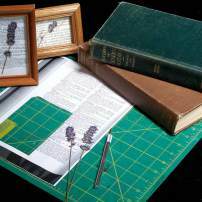 As the plants dried on the pages, they were labeled with descriptions of their growing environment, the place they were discovered and any pertinent information needed for proper study. The pages of pressed botanicals were gathered and organized into herbariums. 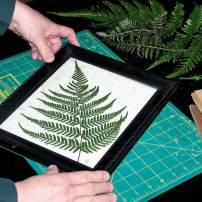 The precursor to botanical illustration and photography for correct plant comparison and identification is an herbarium. The herbarium is a collection of dried plants that have been pressed, mounted and organized in a manner that they can be used for study and identification. 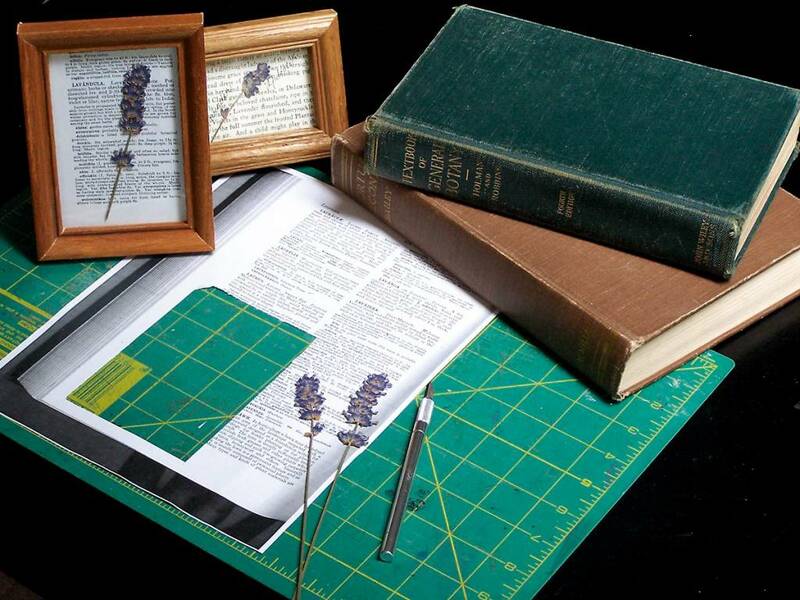 An herbarium is defined as pressed plants on pages of a book or also describes a whole room dedicated to the preservation of the pages; much as a library has books, an herbarium has pressed plants. The exquisite collection of pressed plants from the father of botanical nomenclature, Carlos Linnaeus, is found online at www.linnean-online.org. 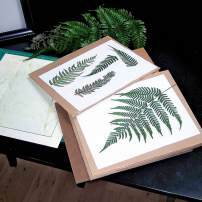 The original pages of his herbarium, which includes 14,000 plants, are kept by the Linnean Society of England in Piccadilly, London. The largest plant herbarium is the Museum National d’ Histoire Naturelle in Paris, France, and the fourth largest collection is in the Bronx at the New York Botanical Garden, also noted as the largest in the Western hemisphere. 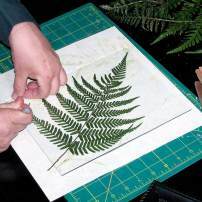 You can experience a local herbarium by visiting the Hyde Herbarium at the Center for Urban Horticulture at the University of Washington botanic garden in Seattle. The Hyde Herbarium records collections of plants at the UW botanic gardens as well as an extensive collection of weeds and plants found locally. For more information visit this link. 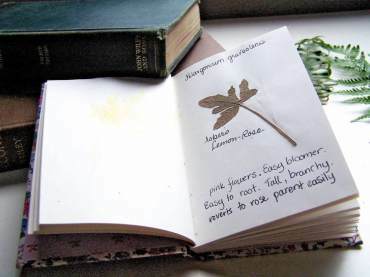 Plants pressed on a page for preservation can also be a form of art. 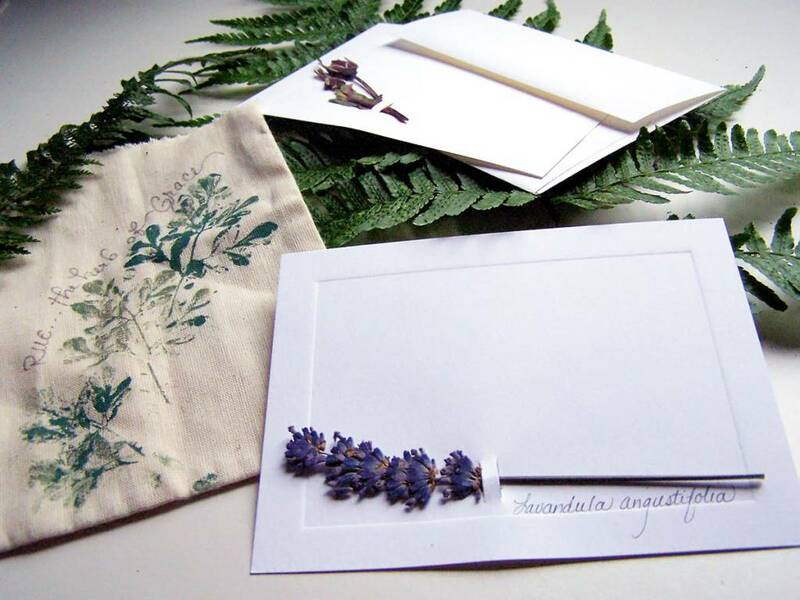 In the Victorian era, the tradition of pressing flowers and leaves moved beyond scientific study. 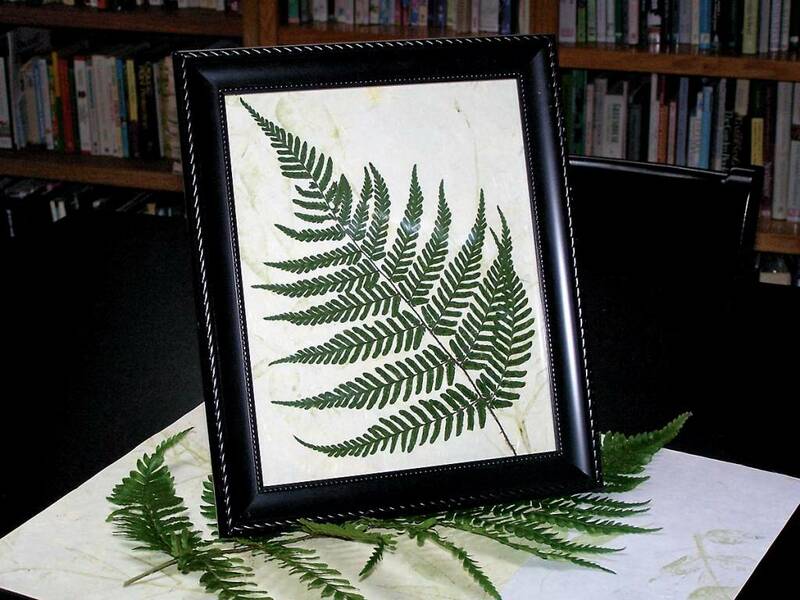 In 1800s England, ferns became a hot trend for collectors. 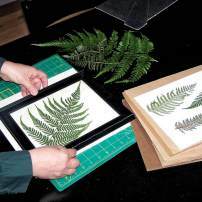 One way to brag of the extent of the collections was by pressing the fronds and framing them for wall décor in the home. A house guest would not even have to venture into the garden to see the lovely shapes, textures and extensive collection. 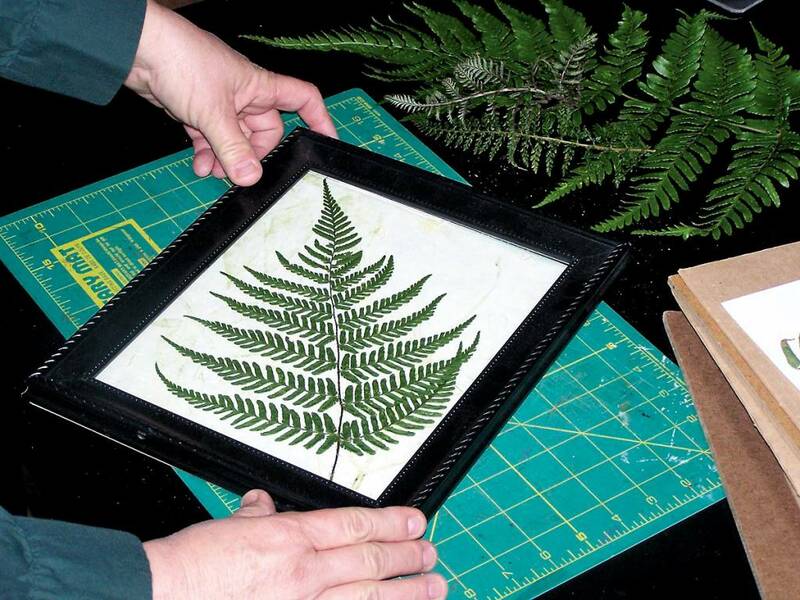 Fern vendors even offered pressed, fancifully framed pictures of exotic species for sale to show off the varieties that were not readily available. 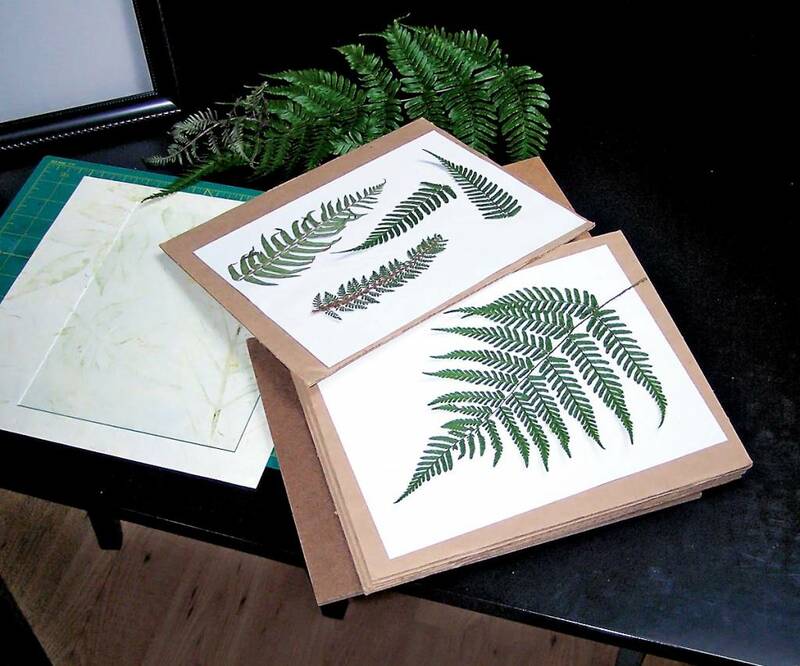 Easy to do, pressed plants can be framed for interior decorations, note cards, scrapbooks and mixed-media paper crafting. 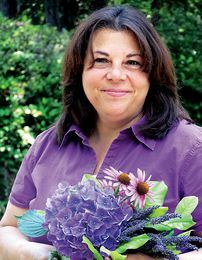 Flowers and leaves that are not too thick-stemmed or bulky at the base will press well. Good ones to try are pansies, violas, bleeding hearts, small rose buds and leaves, ferns, lavender stalks and various leafy herbs. Pick flowers that are showing the most color but are not faded. Choose unblemished leaves and petals. Harvest plants for pressing after the morning dew has dried and it has not rained for a few days. Press immediately after picking to avoid curling and fading. To make a press: You will need old newspapers, blank newsprint paper or inexpensive copy paper. 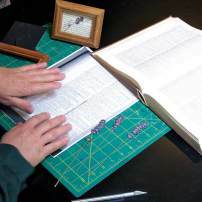 A makeshift press can be made using heavyweight books or a cinder block, or use a purchased press. You will get the best results if the pressure is heavy, strong and on a flat, even surface. To press: Lay the plants on the blank newsprint or paper. Don’t allow edges of plants to touch. Gently crush the centers with gentle finger pressure if needed to lay flat. Lay some flowers in profile and full face to get different effects. 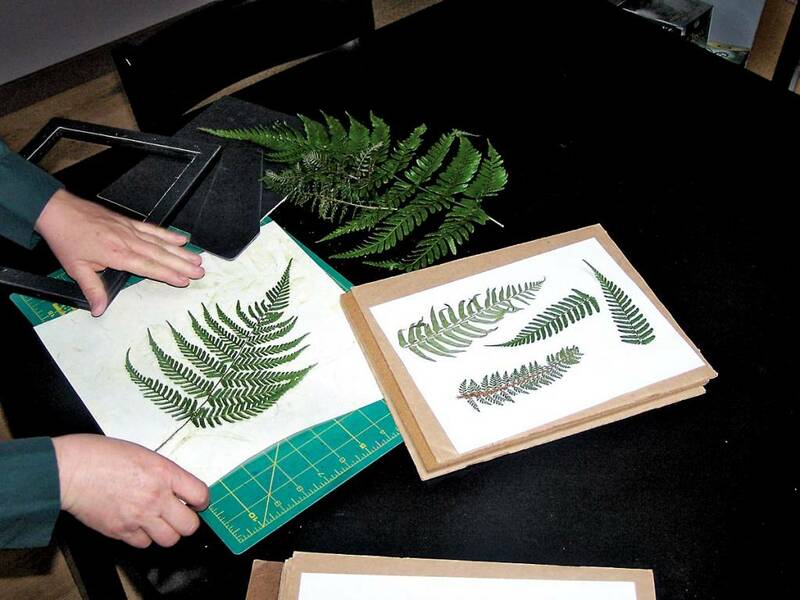 Place a blank piece of newsprint on top to sandwich the plants between two pieces of paper. Place the pages flat. Newspaper placed before and after the plant pages will help absorb moisture. Continue making a sandwich of newspaper and plant material pages. Numerous plant pages can be stacked on top of each other. 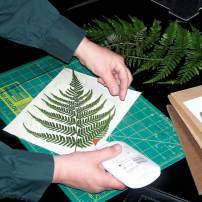 Place heavy weight on top of the layers of plants and paper or tighten between a plant press. Leave for a few days and check, without disturbing the flowers, if the plant pages are damp, replace newspaper if needed and continue to dry for a few weeks or as long as needed until the plants are completely dry and preserved. 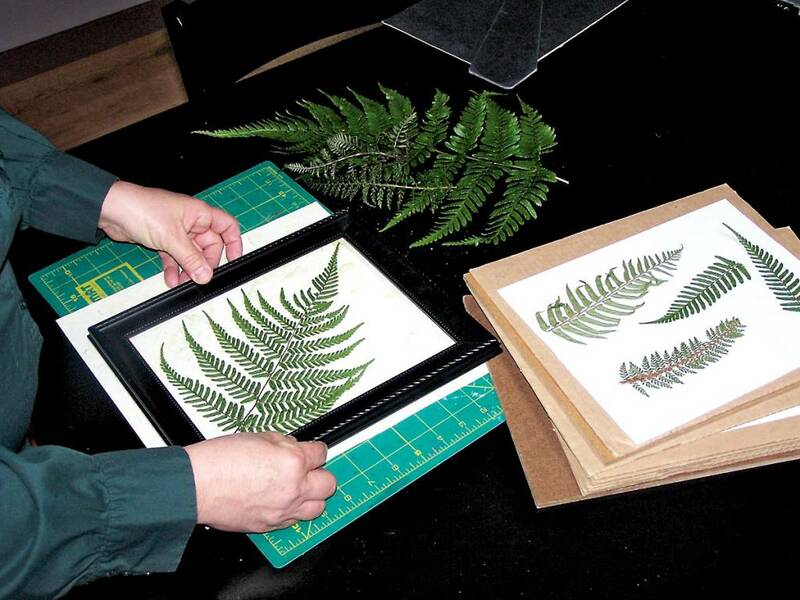 If you are an avid collector of a specific variety of plant, consider an herbarium to document your collection. I am a collector of scented geraniums. 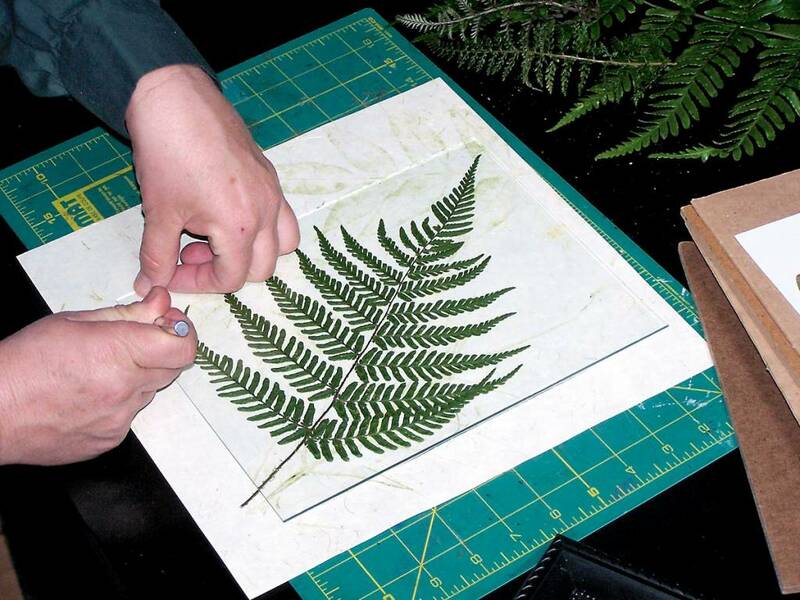 Over 15 years ago, I started my own mini herbarium by pressing the leaves of different ones I was growing. The leaves and coloring of scented geraniums are unique and press beautifully. I began the book as a way to remember and record the varieties since there is precious little in the world of scented geraniums that helps to identify them. It has not only become a nice reference but a work of botanical art as well. 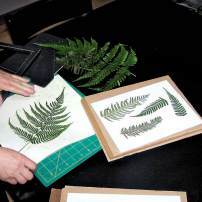 How to: Individual plants can be placed on separate pages and pressed until dry. On the page, record the full botanical name as well as any other information you want to have along with the plant, such as flower color or bloom time and where and when it was collected. Herbs are great candidates for an herbarium, as they have a diversity of uses and reasons to know why and how to use them. Another option is to purchase a pre-made book with heavy blank pages. 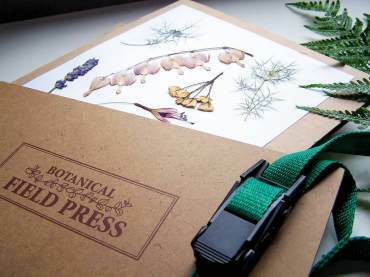 It is used as a plant press and collection all in one. 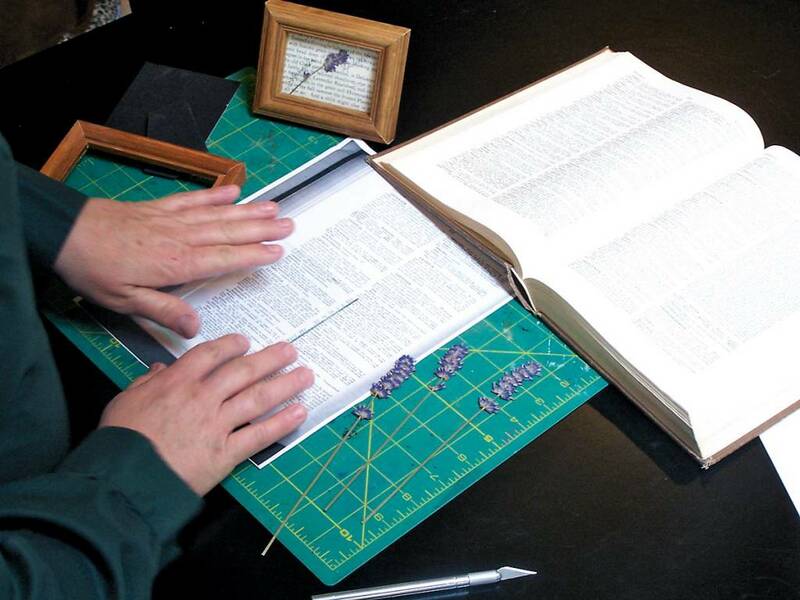 Make a piece of cardboard the size of the pages to slide between pages as specimens are drying to prevent them from sticking together. 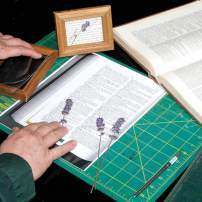 Bind the book tightly with rubber bands and heavy weight to press properly. After the plants are dry, use a small amount of glue to hold them in place. 1. 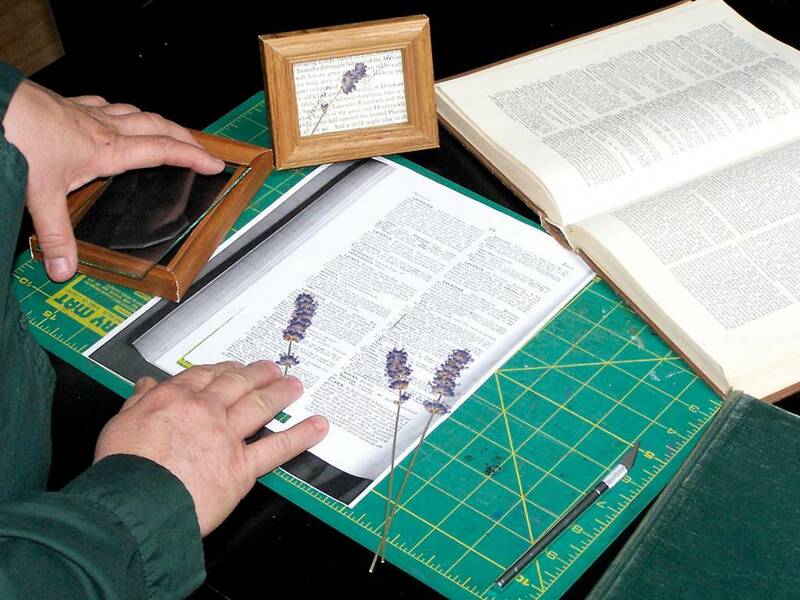 Place glass from picture frame to center the writing and trim the edges to fit the frame. 2. 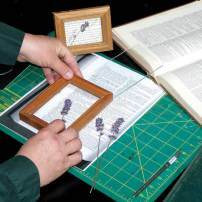 Position pressed lavender stem on the page and trim excess from the edges. Add a few dabs of glue to hold in place. 3. Position the frame. Write in script the botanical name and variety if desired. 4. Place backing on the frame and finish the edges. 1. 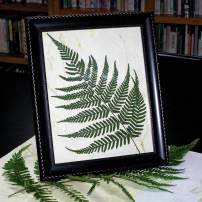 Position the fern on the decorative paper. 2. Check picture frame position. 3. 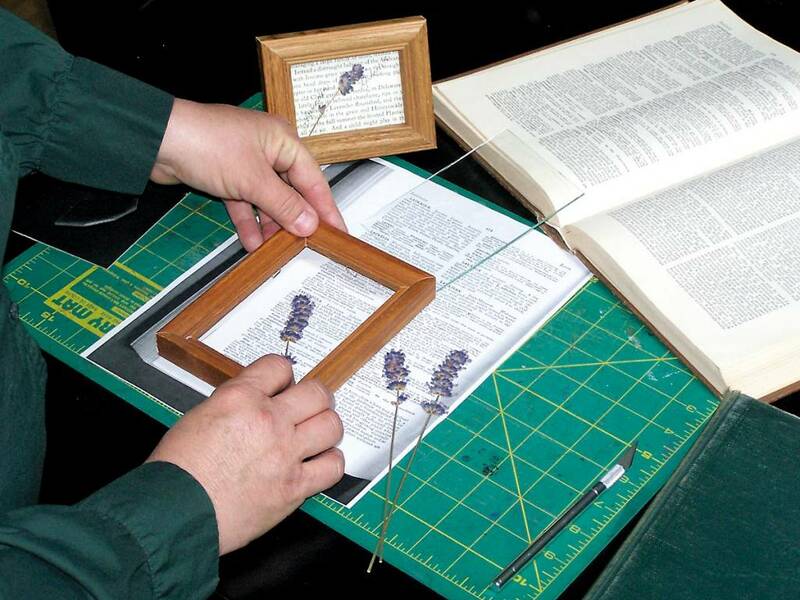 Trim around the edges of the paper using the picture frame glass as a guide. 4. 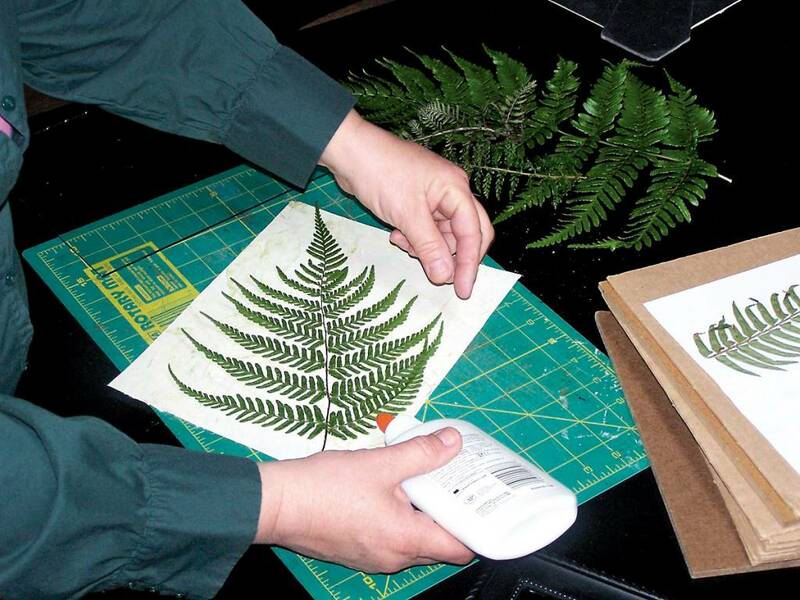 Add small dots of glue to the back of the fern to hold in place. 5. Add frame and backing. This article was first published in the Fall of 2010 print edition of the WestSound Home & Garden. Any discrepancies, omissions, or inclusions that seem incorrect are purely due to the age of this article. WestSound Home & Garden deemed this article useful and beneficial as a contribution to today's readership, and therefore is included in this site's online article archives. If you feel the content of this article is detrimental due to its age, please feel free to contact us to request removal or modification.